Josh Burt was born with Spina Bifida and has been in a wheel chair his entire life due to paralysis in his legs. He is the youngest of four children, 19 yrs. old and a High School Graduate. Because he has such an interest in the well being of others, he is considering a career in counseling. Josh is heavily dependent on his parents for transportation as well as rides from friends. He is in need of a modified vehicle specially equipped to put him in the driver's seat, enabling him to lead a more independent lifestyle and pursue his dreams. 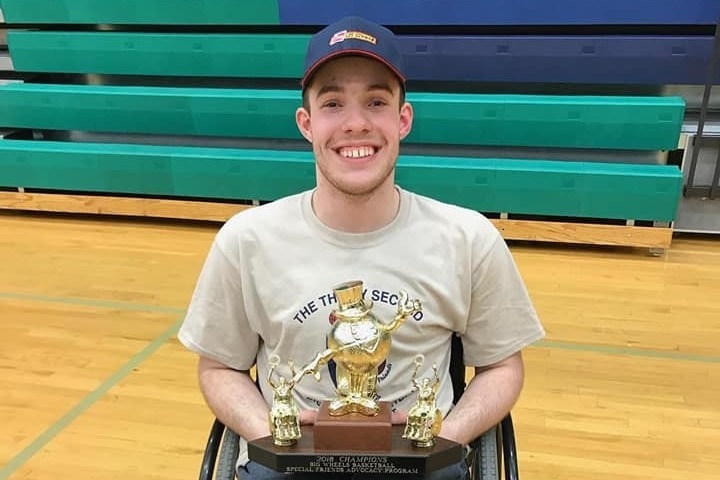 In-spite of Josh's physical challenges, he is well known by his peers for his incredibly optimistic attitude, great sense of humor, and always ready to help or encourage the less fortunate. He is recognized to be of outstanding character by all who know him, and has remarkable resolve. Josh plays Wheelchair basketball for the Mad Dogs (local team) and is very athletic. This year the team went to Spokane, Wa. to play in the HoopFest competition. He is energetic, disciplined, and in his free time loves to work out at the gym. Recently, he was invited by the police dept. to participate in “The Murph Challenge”. “The Murph” is a tough national workout regimen created in honor of fallen Navy Seal, LT. Michael Murphy. It was slightly modified for him so he could participate. Josh’s “can do” spirit does not let his disability hold him back. As much as his schedule (and budget) permits, he loves to swim, hunt, fish, bowl and go to the movies with friends. He is always looking for opportunities to encourage others. At a recent basketball tournament he was playing in, he invited a co-worker and her son (who was also in a wheelchair) to attend. When they showed up he greeted her son and gave him a basketball. Then he told the little guy to practice hard so when he gets older he can join the team. The boy was elated! Another way he encourages people is by giving to those in need or less fortunate. He has been criticized for giving to the homeless, but his response was, “what they do with the money is between them and their conscience, I want to give them a chance to better their circumstances”. If you haven’t got the idea by now that Josh is very ambitious and has a strong work ethic, I’m telling you now; He’s not one to let the grass grow between his toes! Although he’s athletic he also has a strong sense of responsibility and independence. He holds down a part-time job at a grocery store as a bagger. As soon as his transportation needs have been secured he plans to work full-time. Our hope is to fully fund a specially equipped vehicle (otherwise known as a "Mobility Solution Vehicle"). This will put him in the drivers seat and give him the independence that he needs to move forward with his life. Because the modifications to the vehicle are permanent, the plan is to grant him the money to purchase a new 1/2 ton Chevy Pickup. A middle of the road vehicle with some of the options that are pertinent to him (because of our cold and snowy winters) such as remote start, and heated mirrors, etc, will land at about $42,000.00. The permanent wheelchair modifications will cost an add'l $15,000.00 depending on his needs. His first year of full coverage insurance will be an additional $3300.00. I am the father of one of Josh’s friends. I am 55 yrs old and have seen folks squander an opportunity given to them, not fully appreciating what it is. But I’ve also seen a few take full advantage of an opportunity using it to it’s greatest advantage, and Josh is one of these people. He is a remarkable young man, I would not be doing this for him if I was not so impressed. Josh has the HEART of a Navy Seal and if it weren’t for the disability he could have become one! He truly is an inspiration to all who meet him! If I were a betting man, I would go “all in” that Josh will use this opportunity to it’s fullest advantage, and accept this gift with extreme gratitude. This is a gift that he cannot otherwise afford. THANK YOU for giving Josh the freedom to get himself to work, pursue his dreams and have a life if his own. Please share this link with your friends and family on Facebook, and Instagram. We were originally hoping to keep this crowdfunding event a surprise but the "cat got out of the bag" yet he doesn't know all of the details. On September 15th, 2018 at 6.30pm we will have a celebration party to present Josh with this gift. Since his good friend who faithfully gives him rides has enlisted in the Marine Corp and will be leaving soon afterwards. All are welcome to attend this community wide event. 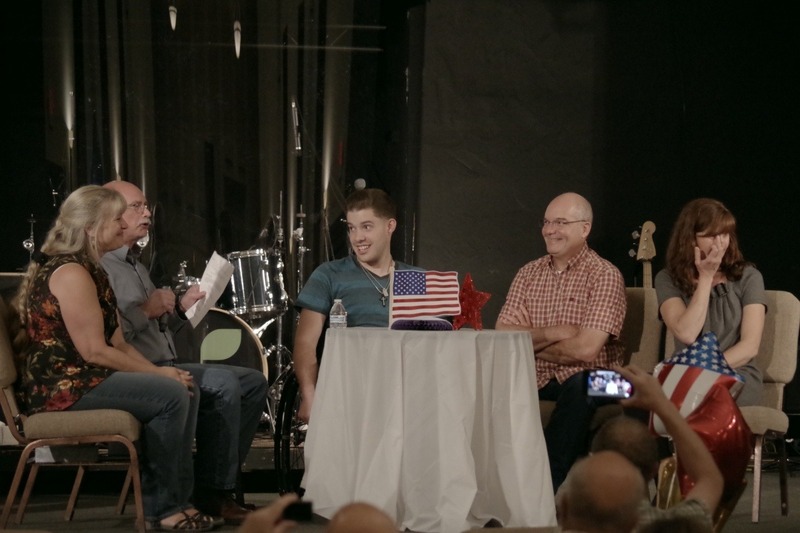 We will gather together under the guise of a " 60th " birthday celebration for Gene Langstaff. It will be held at the Assembly of God Church, 150 Lamb Lane, Whitefish, MT. Hi Everyone, Well things are cold here in Montana. But things have been heating up for Josh's campaign, thanks to the Whitefish High School!! We want to say a BIG thank you to the Honor Society students and their supervisor - Adrianne Johnson,came up with the idea of Hat Day! The students each paid a dollar to wear a hat on hat day. This great idea brought in $500.00 to Josh's fund raiser!! Then Lonnie Collinswirth (the art teacher) came up with the B.B. halftime three point shot fund raiser!! They are doing this during the Basket Ball game halftimes. We are awaiting the final amount that has been raised from this!!! A big thank you to these two teachers and there students!!! We only have approximately $20,000.00 left to go, to be able to get this vehicle for Josh, lets finish this campaign and bless him with this rig!!! Stay tuned and keep spreading the word by social media and word of mouth !!! Thank you all so much!!!!! Adrianne Johnson,came up with the idea of Hat Day! The students each paid a dollar to wear a hat on hat day. 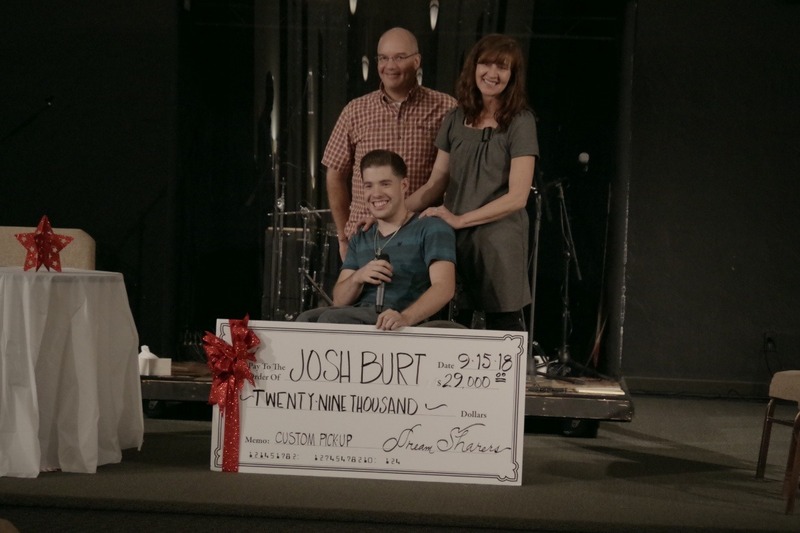 This great idea brought in $500.00 to Josh's fund raiser!! Then Lonnie Collinswirth (the art teacher) came up with the B.B. halftime three point shot fund raiser!! They are doing this during the Basket Ball game halftimes. We are awaiting the final amount that has been raised from this!!! A big thank you to these two teachers and there students!!! We only have approximately $20,000.00 left to go, to be able to get this vehicle for Josh, lets finish this campaign and bless him with this rig!!! Stay tuned and keep spreading the word by social media and word of mouth !!! Thank you all so much!!!!! Well Folks, We are in the final stretch! We have all raised $38,000.00 dollars towards the $60,300.00 goal! That means we are 63% funded ,and only have $22,300.00 left to get Josh into that truck !! Please help us finish the home stretch soon by sharing this fundraiser with others. Thank you for everything that you have done, and are doing to bring this dream to reality for Josh. Also, you should know we now have our own facebook page. Please "like" us @ www.facebook.com/wheelsforjosh. This is an important step for us ,as it will vastly increase our cyber awareness!! Thanks for your help!!! Hello Friends! My wife and I had to take a break after Josh’s party to take care of some other commitments but we’re back now. Josh’s surprise party on the 15th of Sept was fun and exciting! As mentioned in an earlier update Josh became aware that something was being done on his behalf but didn’t know any details. We would have loved to wait until the end of the fundraiser to present him with the full amount but keeping it a secret any longer would have been impossible. He was very surprised and moved to tears when all was revealed. There were many area businesses that contributed cakes, coffee, punch and still more that contributed items for a silent auction. It was fun to see the excitement generated by our local retailers as it was their idea to set up a silent auction for the event! The auction generated an additional $1538.00 to the fund, how cool is that! We even had Natural Elements Massage & Spa of Whitefish there giving chair messages, donating 100% of the proceeds. The local business involvement was amazing, WE APPLAUD ALL OF YOU! Thank you to all who where there, whether in person or spirit, you made this event a day to remember for Josh for the rest of his life! 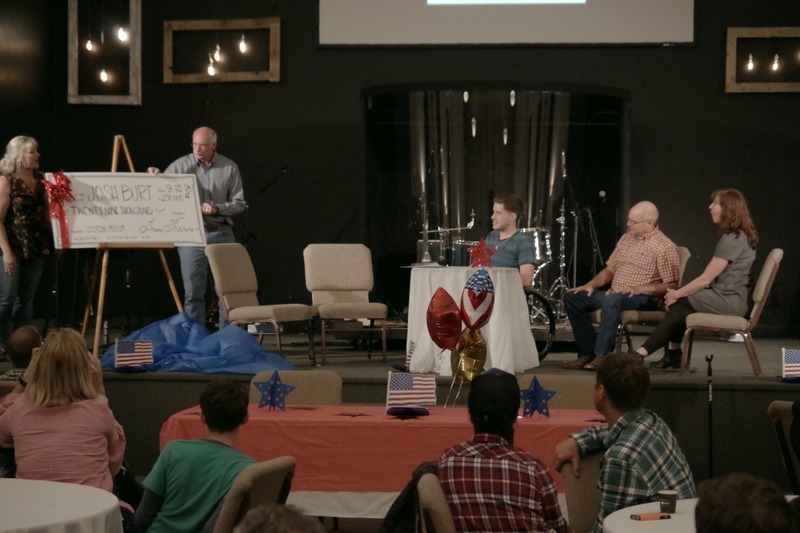 Together with all the fundraiser activity and GFM we were able to disclose to him that we (meaning all of us) had raised $29,000.00 toward the Goal!